Leschi: Martyr to white man's vengeance. 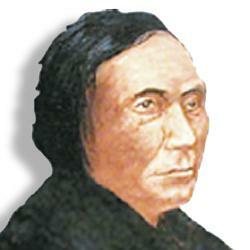 Leschi (1808-1858), war leader of the Nisqually tribe. Following the so-called Indian War of 1854-1856, Leschi was put on trial for murder, even though any actions he took were during a time of war. The first jury offered a hung verdict, but Governor [Isaac] Stevens did not like that outcome, so Leschi was tried again. Fort Steilacoom's soldiers got to know Leschi while he was housed at the fort between court sessions. Several officers, including August Kautz, published a newspaper, the Truth Teller, printing evidence that Leschi could not have been where the prosecution said he was. It didn't matter. Stevens wanted Leschi dead. [Commanding Officer] Silas Casey would not allow the gallows to be erected at Fort Steilacoom, but civilians took Leschi to a prairie by Lake Steilacoom. On February 19, 1858, Leschi was hanged. A Historical Court of Inquiry held a trial in 2004 and exonerated Leschi by a unanimous vote.